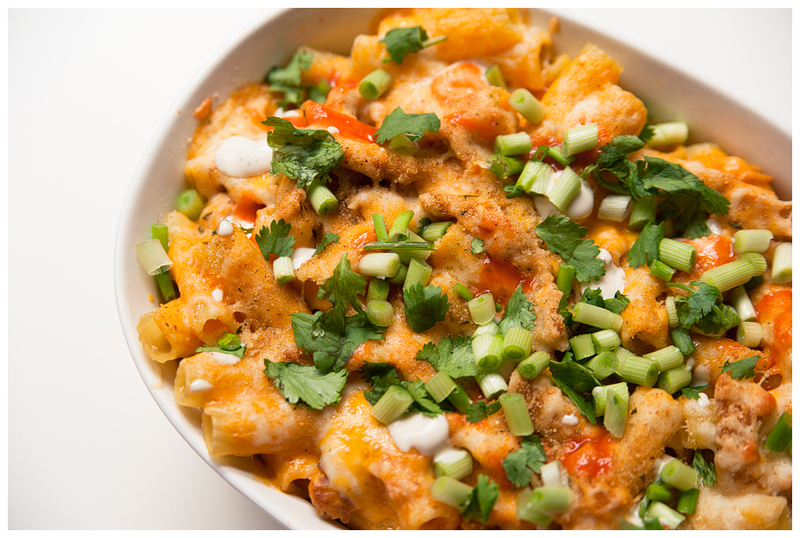 I love sharing vegan recipes here … and we really strive to eat vegan whenever we can. However, some most days, we want a little more cheese in our lives. Last week, we made all of our meals at home. It was really nice to have that time in the kitchen, and know that we were treating our bodies a little better. 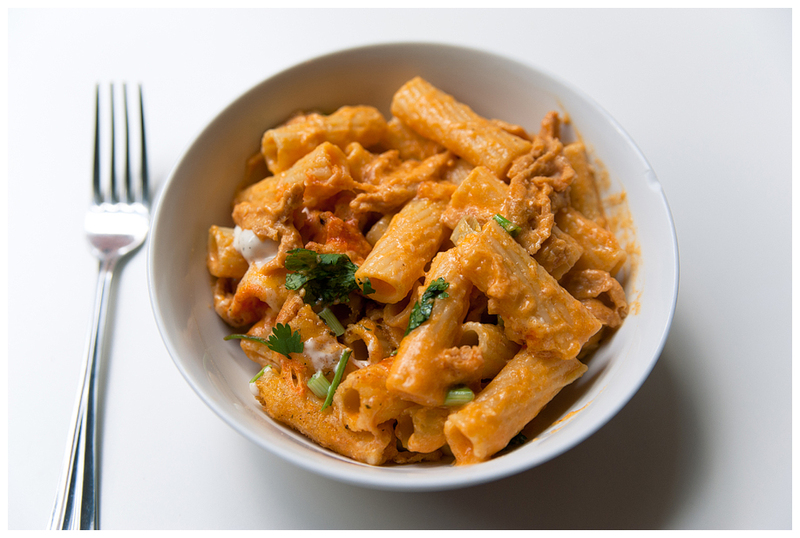 We needed a little comfort food, so we decided to make this buffalo ‘chicken’ pasta bake for lunch. We say ‘chicken’ because what we treated as chicken is really something else amazing: soy curls (more on that in a post a little later this week). 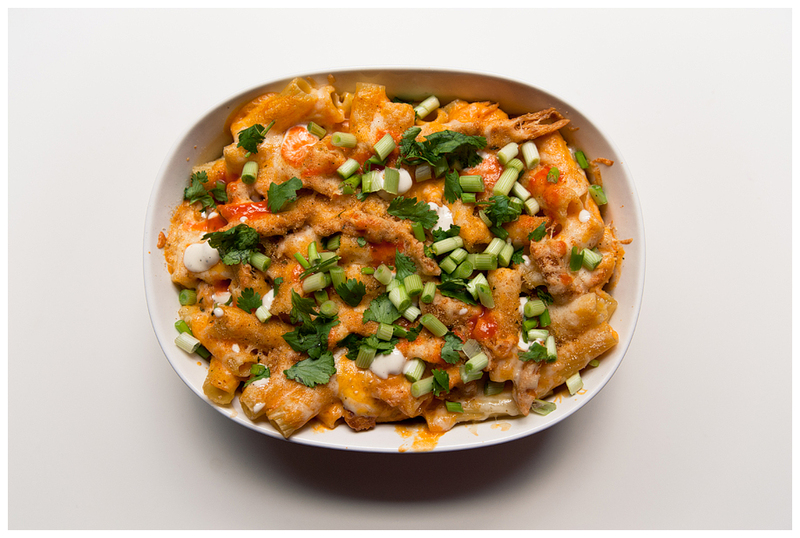 You guys … this dish blew our minds. We ate it ALL in one sitting <- let’s act like I didn’t just share that detail. It was SO FREAKING GOOD! Preheat oven to 350 degrees & bring a pot of water to boil for the pasta. Soak soy curls in bowl for 10 minutes, then drain. Add to hot pan with olive oil & a few dashes of hot sauce. Continue cooking on medium heat until soy curls have developed a little color. Cook pasta in water until just al dente. Drain & set aside. While pasta is cooking, melt butter in a large sauce pan, then add flous and cook until flour is golden. Whisk in almond milk until smooth. Stir occasionally until mixture thickens, then add the most of the shredded cheese & hot sause. Stir together. Add soy curls to sauce. 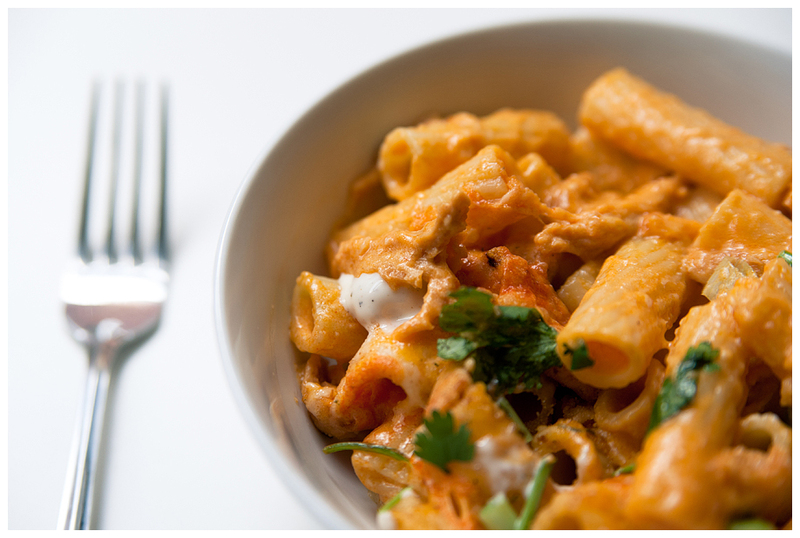 Add 1/2 of the pasta to an oven safe baking dish. Pour half of the sauce/coy curl mixture on top. Then repeat. Make sure pasta is coated with sauce. Top with remaining cheese & bread crumbs. Bake for 30 minutes or until the cheese on top is golden and bubbly. 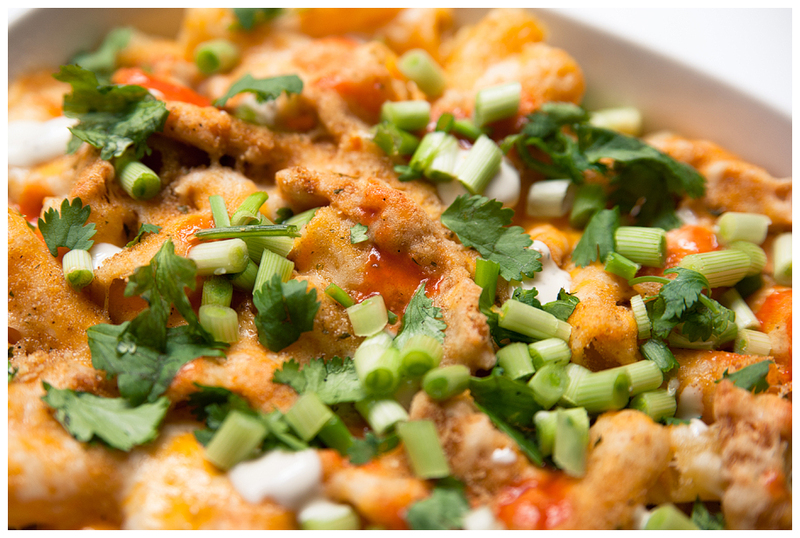 Remove from the oven and top with green onions, cilantro, hot sauce & ranch.